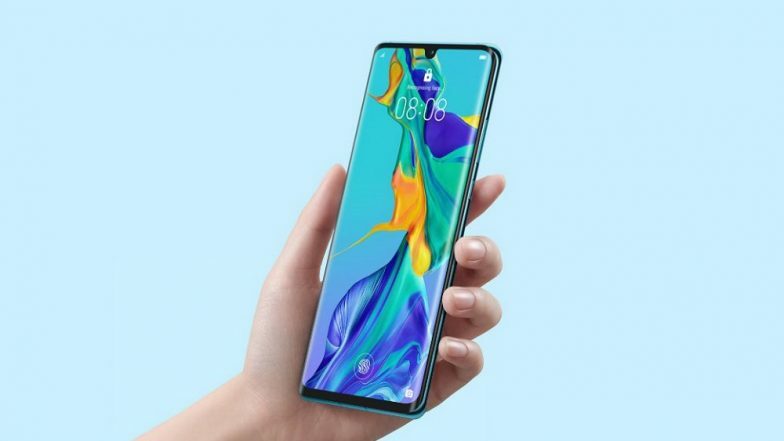 Huawei, the Chinese smartphone manufacturer is all set to launch the new P30 Series phones in the Indian market on April 9, 2019. To recall, the new P30 phones were officially unveiled at a special event in Paris last month. Further extending the reach for its P30 phones, the phone maker launched the new devices in Middle East at an event in Burj Park in Dubai. The launch event was highlighted by a lightshow project on Burj Khalifa followed by a countdown. With an aim to rewrite rules in photography, the phone maker introduced the new P30 series in Middle East. Huawei P30 Flagship Smartphone To Be Launched in India on April 9; Will Be Retailed Exclusively Via Amazon.in. The Chinese smartphone maker has introduced all three version of the phone - P30 Lite, P30 and P30 Pro. As each and every version sports different features, the top-of-the-line variant gets super camera along with extraordinary features. The P30 Lite phone gets a starting price of 1,099 AED for 4GB RAM + 128GB variant. On the other hand, Huawei P30 (8GB + 128GB) costs 2599 AED whereas Huawei P30 Pro (8GB + 256GB) version retails at 3,399 AED. Huawei P30 & Huawei P30 Pro Phones Launched: Price, Features, Specifications, Pre-orders - All You Need To Know. On the specification front, the Huawei P30 Pro gets a 6.47 inches OLED FHD+ display screen with resolution of 2340 X 1080 pixels. Running Android 9 Pie out of the box, the phone is powered by an octa-core Kirin 980 chipset that is mated to 8GB of RAM and up to 256GB ROM. The phone is fitted with LEICA quad camera at the back comprising of 40MP wide angle lens, 20MP ultra-wide lens, 8MP telephoto sensor and Huawei's Time of Flight (TOF) camera. At the front, there is a 32MP lens with f/2.0 aperture for video calling and selfies. The phone is backed by 4200 mAh battery along with 40W SuperCharge charging and 15W wireless Quick charge.